Japanese pop female vocal duo YANAKIKU formed in 2012 and released their first single “Miwaku No LADY” in October 2012. In 2013, they launched their second single “UP↑SIDE↓DOWN” and performed for international audiences at Hyper Japan 2013 (London) and TIFFCOM 2013 (Japan). In January 2014, YANAKIKU performed at Tokyo Dome’s Furusato Matsuri and followed up with a special “New Year Event with Japanese Artists 2014″ live show in Korea. In April 2014, they released their new music video “FUJIYAMA DISCO,” achieving over 20,000 views in the first week, followed by a digital release of English and Japanese versions of the song in 109 countries. In July 2014 they returned to the UK for an encore performance at Hyper Japan 2014 and made their American debut at San Francisco’s J-Pop Summit. December 18, they released a venue-only edition of their new song “Kira Kira Tokio” at their one-man show at Roppongi Morph-Tokyo on December 12. The “one-coin” (500 yen) single featuring YANAKIKU’s signature playful lyrics and club-ready beats will be available next year to fans worldwide. YANAKIKU has spent the year promoting their full-album release YANAKIKU NO ENBAN, along with multiple performances at festivals in Japan, America, and Asia, including San Francisco’s J-Pop Summit and the Yangon Runway Girls Collection feat. Sean Kingston in Myanmar. 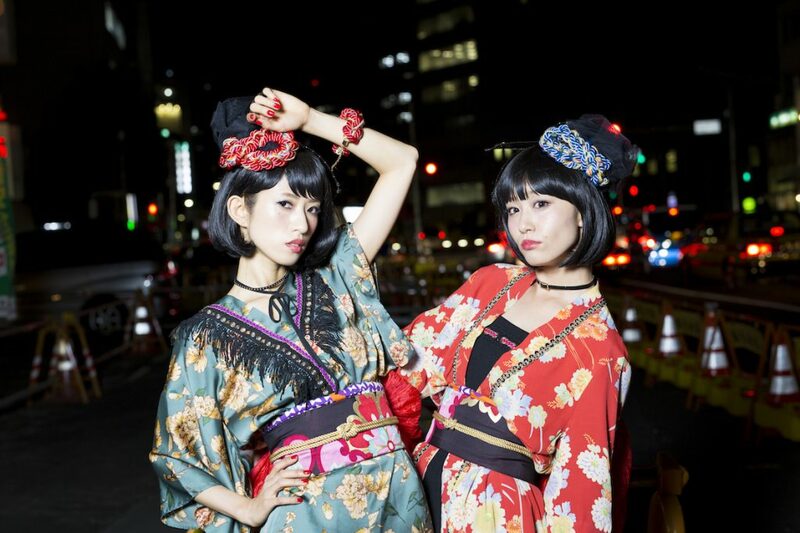 With their unique costumes named “Kimo-Cos” (“Kimono Cosplay”) and their live Japanese calligraphy, YANAKIKU’s high-energy performances and bright, funny personalities are winning over music fans worldwide. ©2012-2019 YANAKIKU All Rights Reserved.